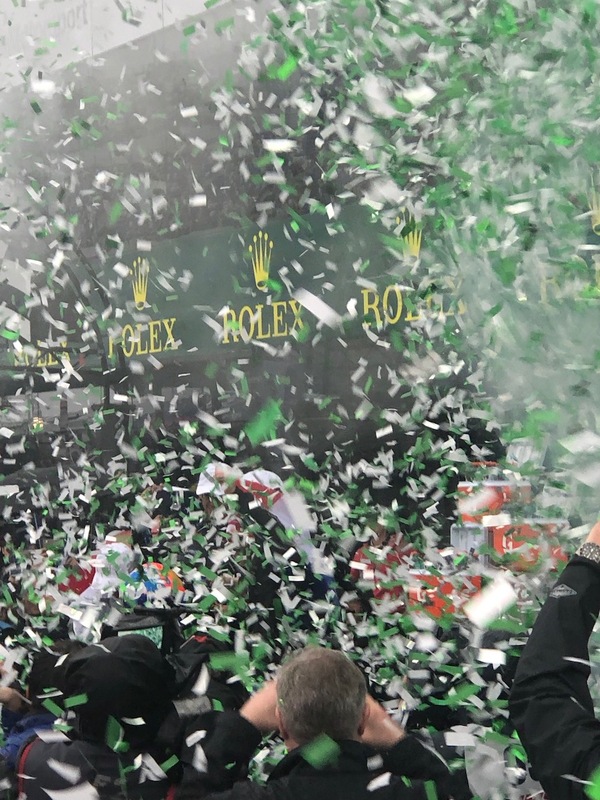 The Rolex watches that the winners receive may be more coveted than the trophy. 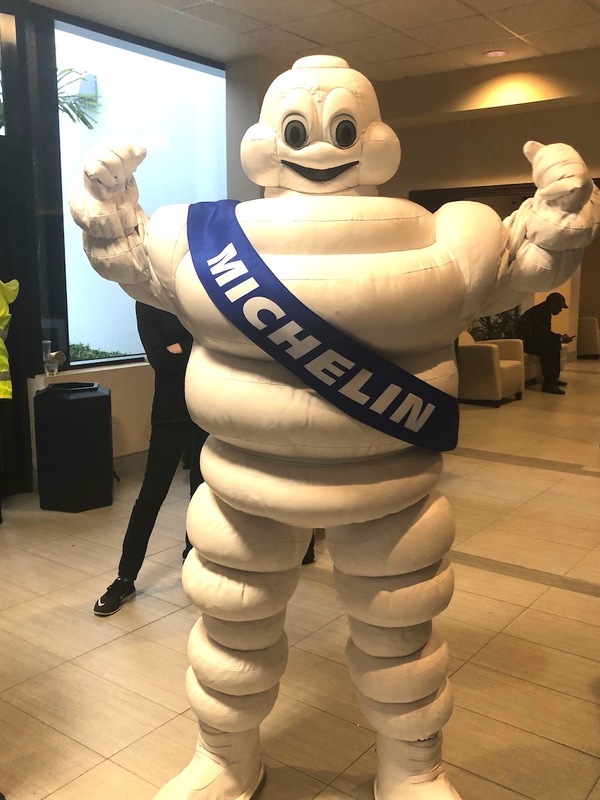 Rolex 24 at Daytona. 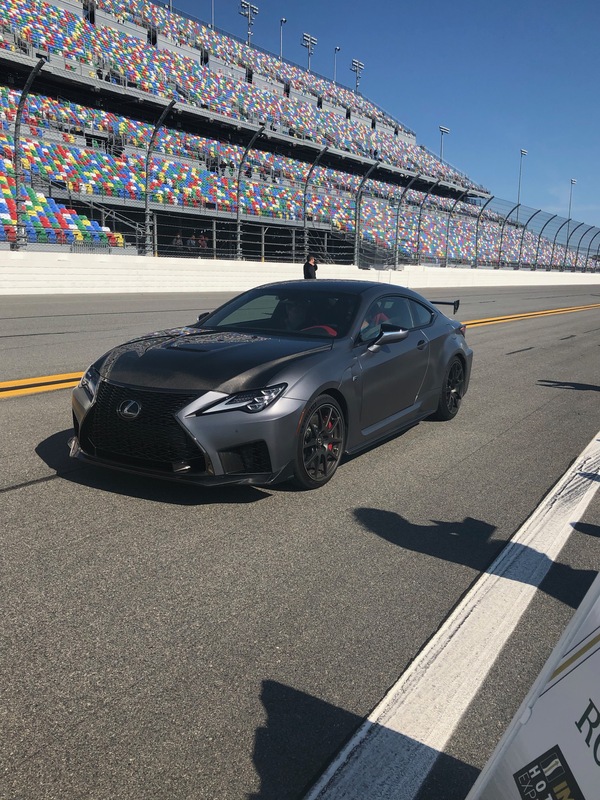 Just a couple of weeks ago, I had the great opportunity to accompany Rolex to the famed Rolex 24 at Daytona endurance races. 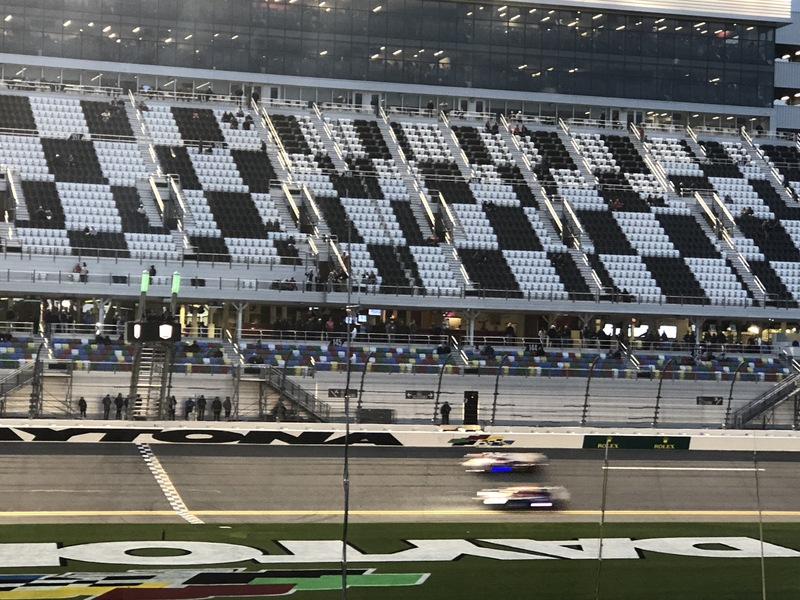 The weekend was wrought with rain and winds that soaked Daytona International Speedway during the second day of the Rolex 24 At Daytona, but it was just one more challenge for top drivers. 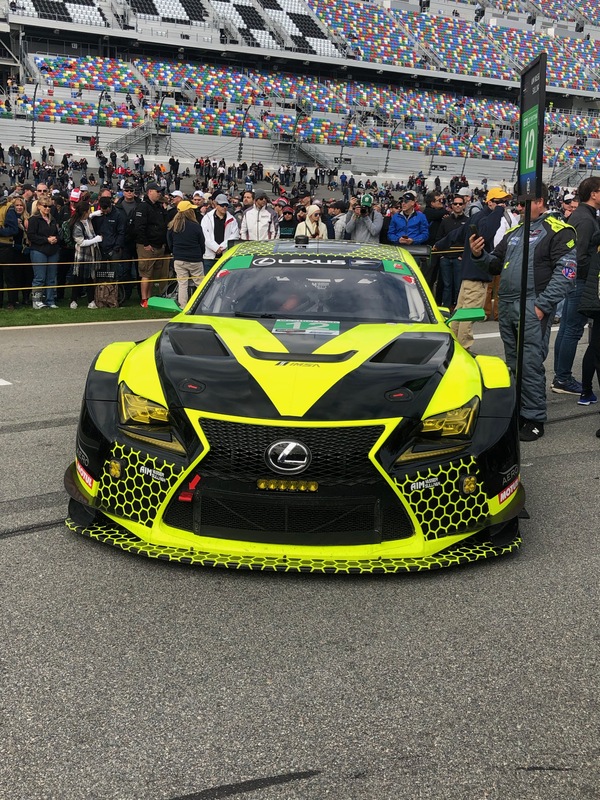 It was the first time that two red flags halted racing and that International Motor Sports Association (IMSA) called the race over 10 minutes prior to the scheduled 24-hour checkered flag time. 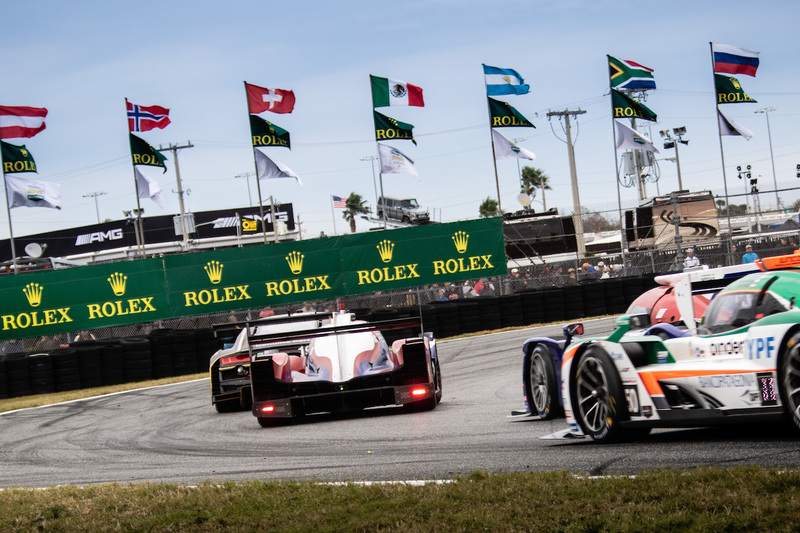 Still, the 50th season of the Rolex 24 at Daytona was a blast, with Fernando Alonso taking his first overall win. 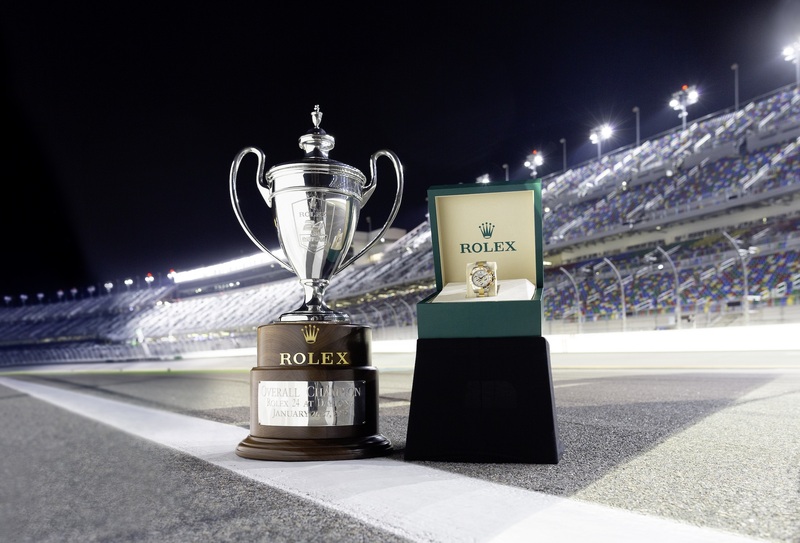 In Victory Lane, the winners in all categories received their coveted Rolex Oyster Perpetual Cosmograph Daytona watches — a highlight of the race. Here we bring you a pictorial of the weekend. 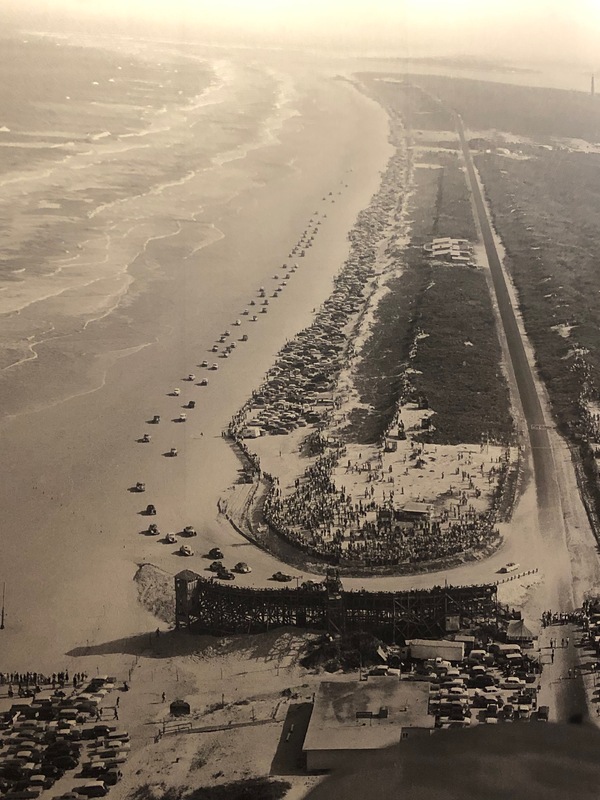 Daytona Beach racing in the early 20th Century. 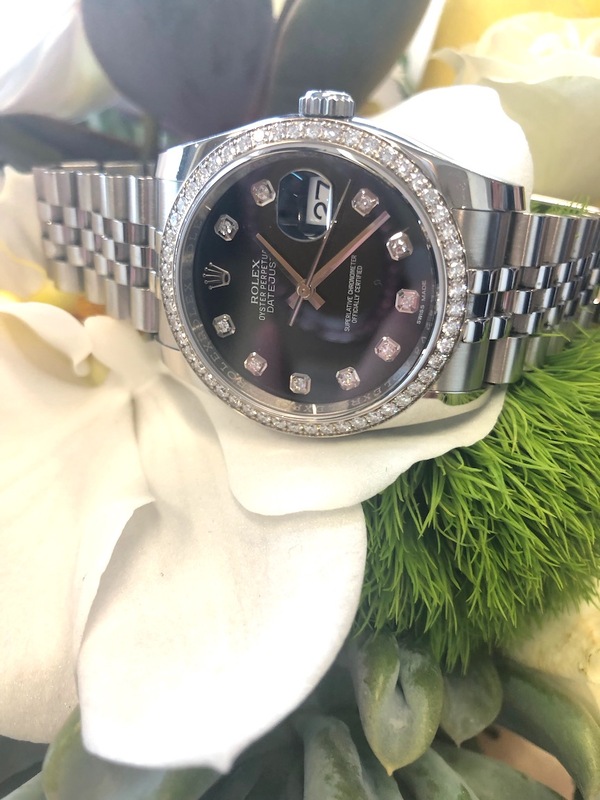 As early as the 1930’s Rolex watches were seen on the wrists of drivers who identified the brand’s precision and exceptional excellence as akin to their sport. 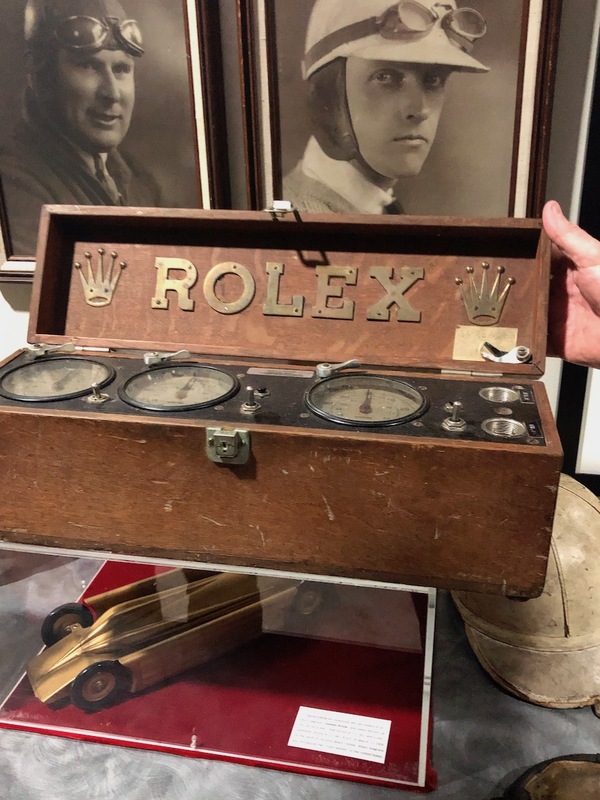 Sir Malcolm Campbell wore his Rolex when he set the fastest official time recorded at Daytona Beach in 1935 at the wheel of the famed Bluebird racing car. 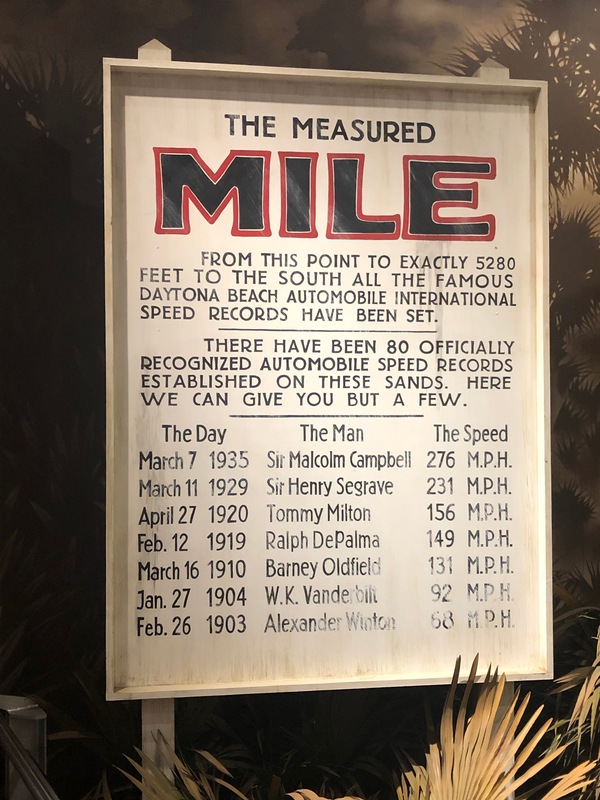 Speed records made at the Measured Mile – at Daytona Beach racetrack. 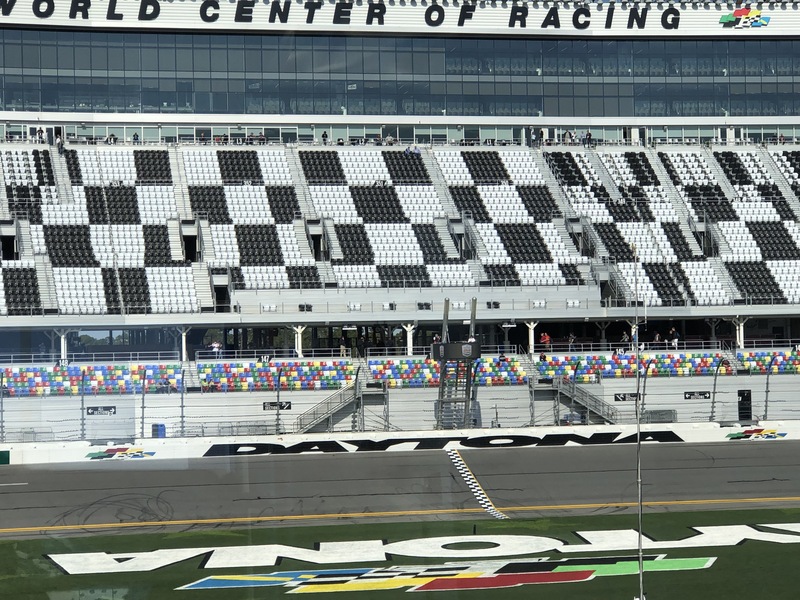 It was 27 years ago in 1992 that Rolex formally partnered with Daytona International Speedwayas the Title Sponsor and Official Timepiece of the 24-hour endurance races known today as Rolex 24 At Daytona. 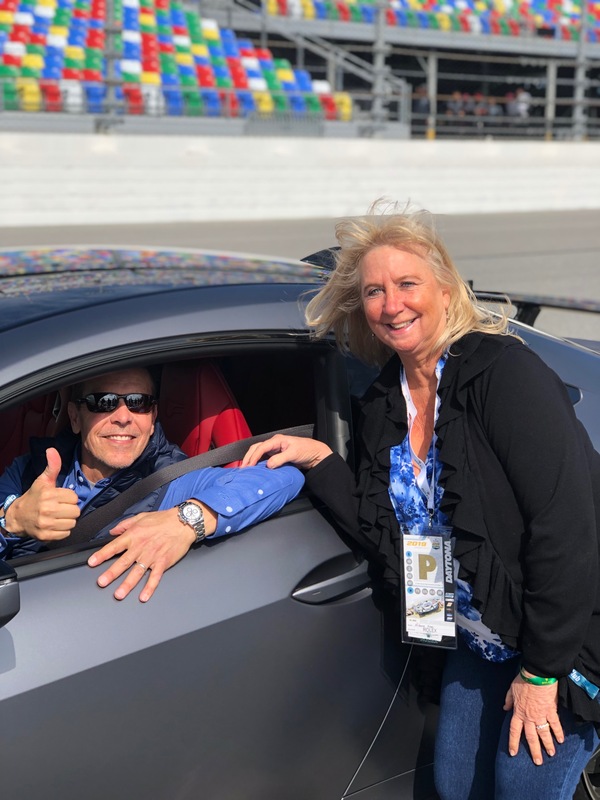 Roberta Naas with racing champion Scott Pruett after the hot lap at Daytona International Speedway. 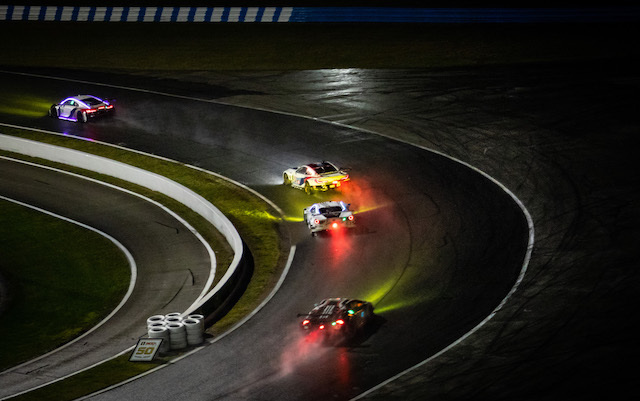 Racing under the lights at night at the Rolex 24 At Daytona. Early 20th century Rolex clocks for timing. 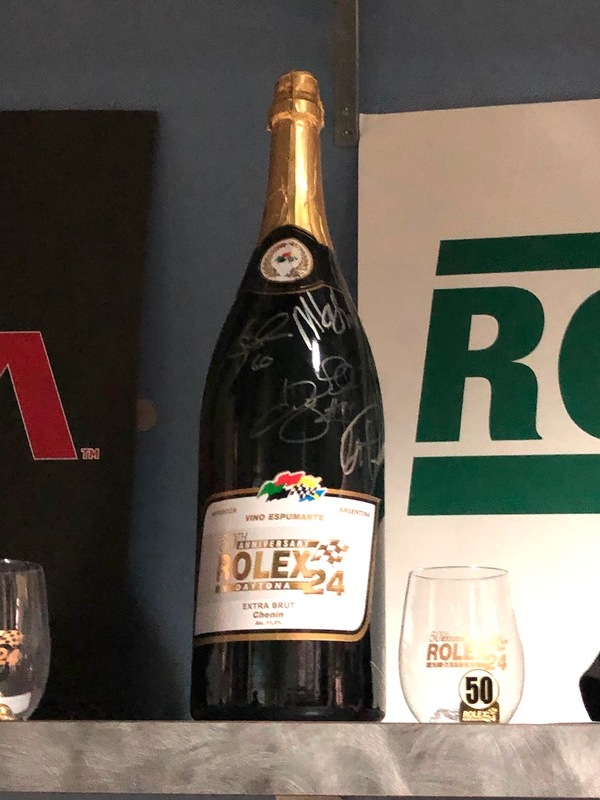 Signed Rolex champagne bottle as seen at the auto museum at Daytona International Speedway. 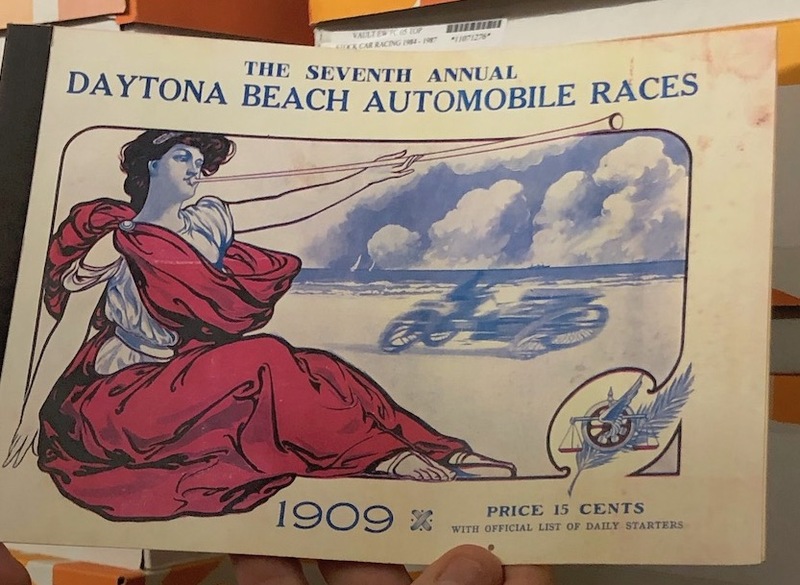 Brochure from 1909 at the 7th annual Daytona auto races. 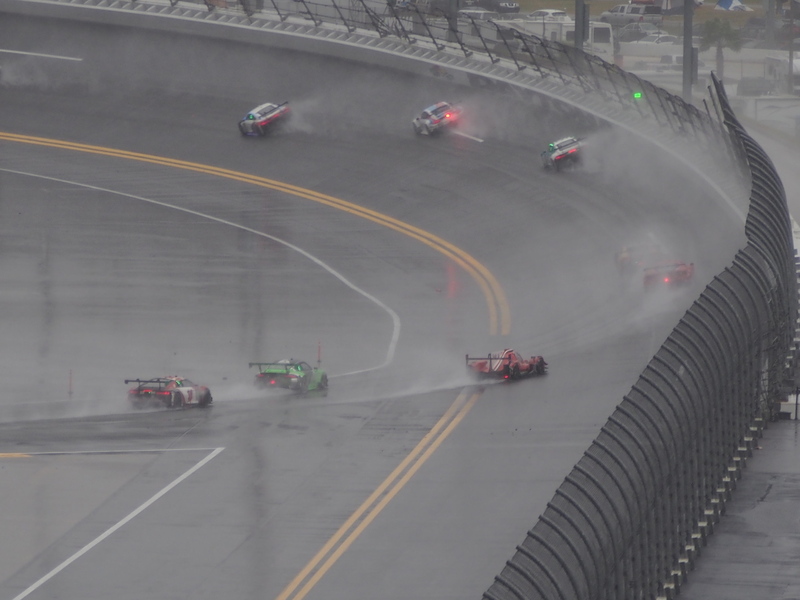 Barely any visibility on Day 2 of the Rolex 24 at Daytona, where the race was stopped before official flag time. 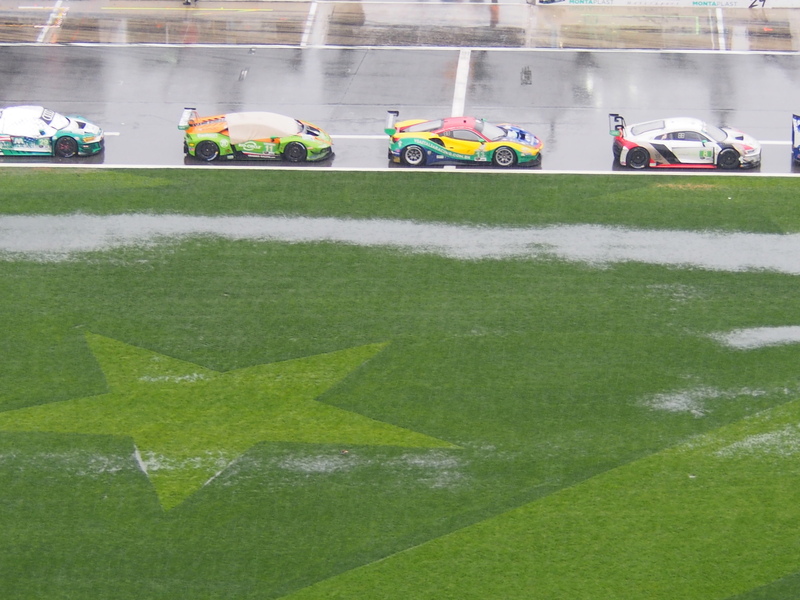 Rolex 24 at Daytona 2019, cars parked on the edge of the flooded track as the rain pours down. 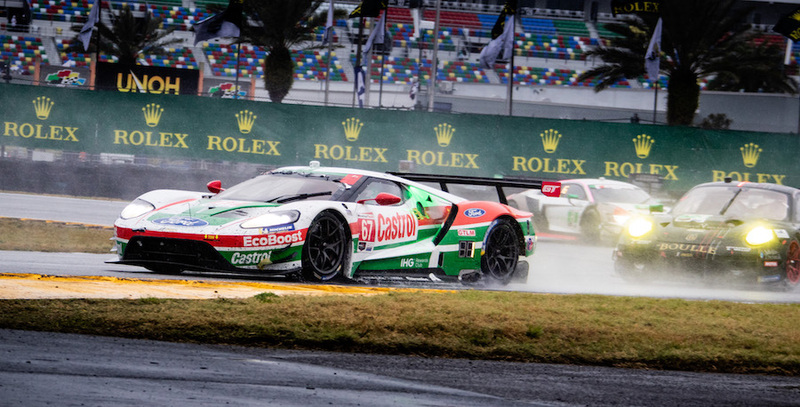 Rain and confetti block the view of Fernando Alonso and team taking the overall win trophy at Rolex 24 at Daytona. 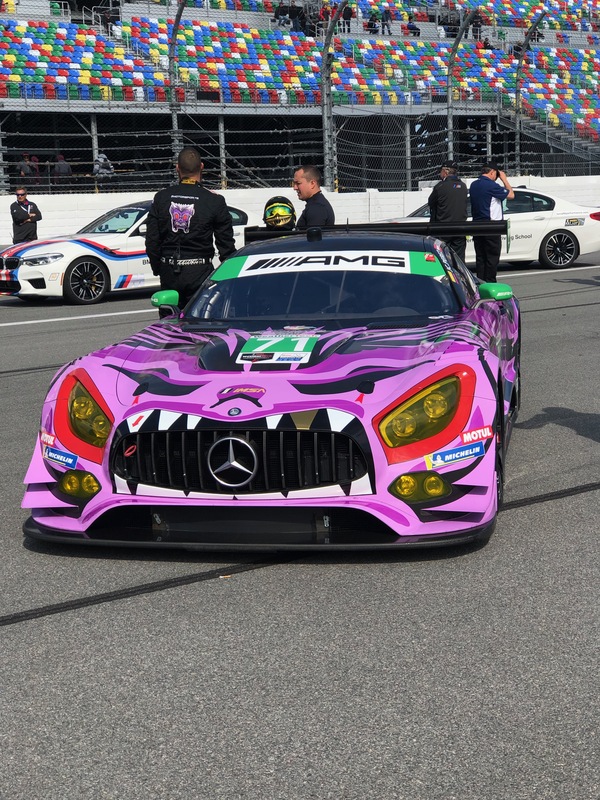 A touch of femininity at Rolex 24 at Daytona.